Sunday morning sunrise over the Portofino harbor was an experience I’ll never forget. As the days continued to grow longer, I struggled with the decision to catch both sunset and sunrise every day. On this morning, I was very happy I continued to push myself as the harbor was eerily quiet. Gone was the music and laugher from the parties of the night before – replaced with the serene sound of waves lapping along the docks and the creaking of sailboats in the wind. 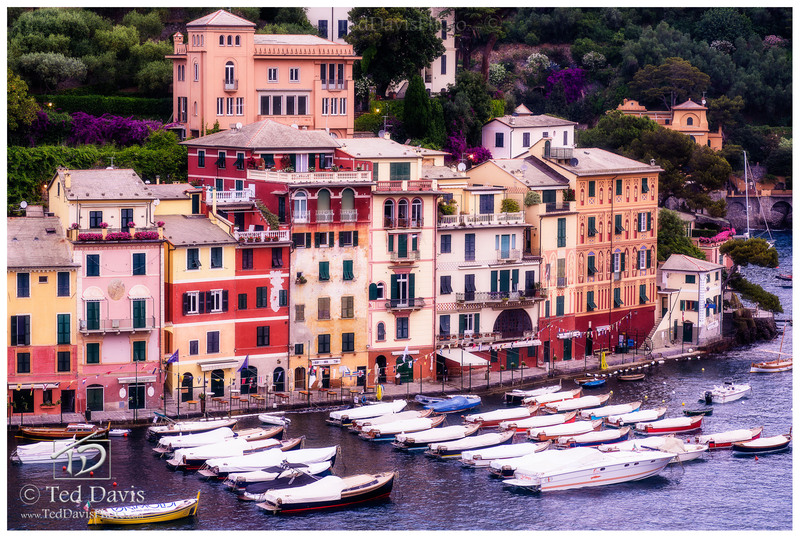 Overlooking the harbor from the church above, I finally captured Portofino. Photo © copyright by Ted Davis.